Mumbai: Dentsu Aegis Network Asia Pacific has named Sonal Patel as president, programmatic services, part of its continued investment to bolster the network’s programmatic capability. Based in Singapore, Patel’s role is effective in late April 2018 and will see her reporting to Sunil Yadav, president of Amplifi Asia Pacific. In her newly-created role, Patel will be responsible for developing a strategic-products roadmap and a distinct, articulate data-led programmatic proposition across the Asia Pacific region. This is to deliver the growth and group’s ambition of being a 100% digital economy business by 2020. She brings with her over 10 years’ experience gained across high growth technologies including e-commerce, marketing, social media, digital mobile media and advertising exchanges. 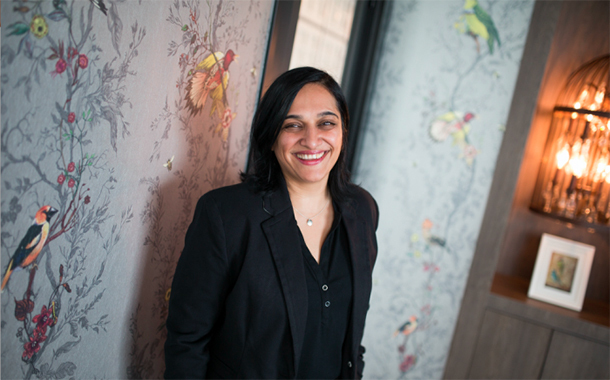 Prior to the move, Patel was Singapore managing director and Asia Pacific vice president at AppNexus. Before that, she managed Southeast Asia and India for Google’s DoubleClick Sales organisation, and also held a stint at Buddy Media – later acquired by Salesforce. She has also managed business development at Twitter for programmatic real-time in-app mobile bidding. In a statement, Yadav explained that as the business heads towards being traded using algorithms and platforms, powered by data, it is critical to upscale and take lead in the network’s programmatic capability when it comes to planning, strategising, advising and managing clients. “Patel is a long time senior leader in the industry and we are excited to welcome her to our team to drive this agenda in the region,” Yadav said. “It is an exciting time to join Dentsu Aegis Network. I’ve seen its programmatic capability grow rapidly in the past four years and am confident of its abilities to create even higher value services for clients,” Patel said. “The transition to Dentsu Aegis is an exciting opportunity for Patel, as investment in premium programmatic technology expands in Asia Pacific. We look forward to strengthening our valued relationship with Dentsu Aegis in the months to come,” Samir Shergill, VP, global markets, AppNexus, said.